Make grilling vegetables fast, fun and easy with these individual Asian Hotpockets. 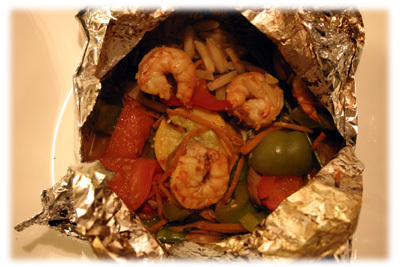 Each of your guests receives their own foil packet with a blend of aromatic Asian vegetables and seasoning. 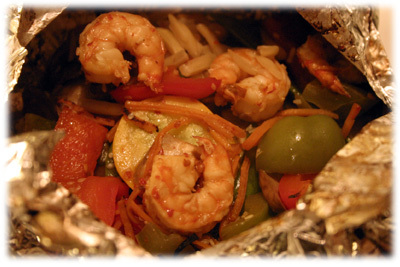 What makes this dish extra special are the spicy shrimp mixed in with the veggies. All of the ingredients should be available at your local grocery store so it's really an easy grilled vegetable recipe in that sense. These foil packets of grilling vegetables take no time at all (about 8 minutes) so you can cook them while the meat you just grilled is resting. These can also sit for quite a while after grilling and stay warm before you open the foil packets. 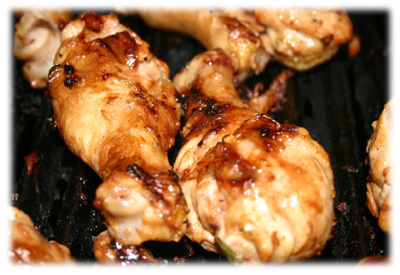 For best results marinate the vegetables for at least 15 minutes before grilling. 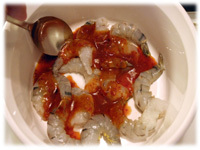 In a small bowl mix together the first 3 ingredients (Sambal Oelek, sesame oil and rice wine vinegar) to make a quick shrimp marinade. Put the shrimp in a small bowl, pour the marinade over them and stir the shrimp gently to completely cover them with the marinade. Cover with plastic wrap and just set aside while you cut up the vegetables. In a small bowl or jar combine the soya sauce, sesame oil and lemon juice to make the vegetable marinade. Cut the red and green peppers into roughly 1" chunks. 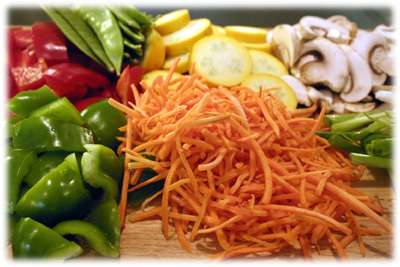 Combine all vegetables in a large mixing bowl and pour the marinade over the vegetables. 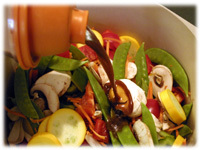 Stir well to combine and coat the vegetables evenly with marinade. 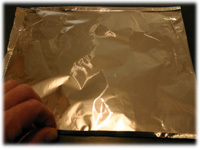 Cover and set aside while you prepare the foil packets. 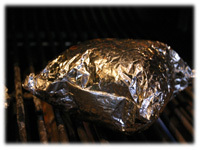 Take an 18" long piece of aluminum foil and fold it over on itself short side up to short side - shiny side out. Fold the two edges adjacent to the closed end over on themselves to seal the edges. You should be left with a foil packet with one end open (to put the veggies in!). 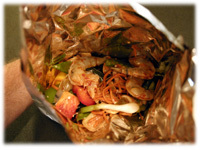 Hold a foil packet in one hand with the opening pointing upwards and place 1/4 of the vegetable mixture in the packet. Place 4 jumbo shrimp in each packet. Pour 1 tablespoon of the reserved vegetable marinade in the grilling vegetables packet. Seal the opening by folding the edge over on itself several times (like you did earlier with the edges). You should now have a completely sealed Asian Hotpocket that won't leak while grilling. Repeat this with the remaining 3 packets. Preheat the grill to 575F - 600F. When the grill reaches temperature lift the lid and place the grilling vegetable packets on the BBQ. Close the lid and let cook for 3 - 4 minutes. Lift the lid, the foil packets should now be getting puffier and you should be hearing the veggies cooking. Gently flip the pouches over, close the lid and continue grilling another 3 - 4 minutes. Remove the packets from the grill very carefully so the foil doesn't puncture. Serve immediately but let your guests know the contents will be hot and steamy so take care opening the hotpockets.